Afsa is at PSI Tanzania’s pop up workshop, Kuwa Mjanja (“Be Smart”). This gathering is part of Adolescents 360, a new program that is turning youth engagement in sexual and reproductive health programming on its head. The workshop is buzzing. At 11 am teenage girls swarm the tent — which popped up in this usually sleepy neighborhood on the outskirts of Dar es Salaam earlier this Saturday morning. In brightly colored dresses and veils, they learn to make jewelry in the shade of the tent. They gossip in small groups and gather around tables covered in trendy fabrics right out of any teenage decorating magazine. 76 teens in all visit the pop up for the next few hours. Behind this hub of activity, a PSI-trained health care provider waits patiently and discreetly behind a privacy curtain. She’s available to chat with the girls about pregnancy prevention when and if they want. Through Adolescents 360, PSI uses Silicon Valley-style human-centered design tactics to co-create activities like these with the teens they serve. They found out early on that the term “family planning” doesn’t resonate with this generation. That’s what Kuwa Mjanja is all about — appealing to teens with language they use and activities that they’ve requested themselves. After talking in private with Edda, the PSI provider who has a daughter of her own, Afsa decided to get an implant that day. 29 other girls also decided to get contraception or 39% of the attendees. The need to reimagine reproductive health care is urgent. The interdependent world we live in is evolving fast and Africa’s youth population is surging. 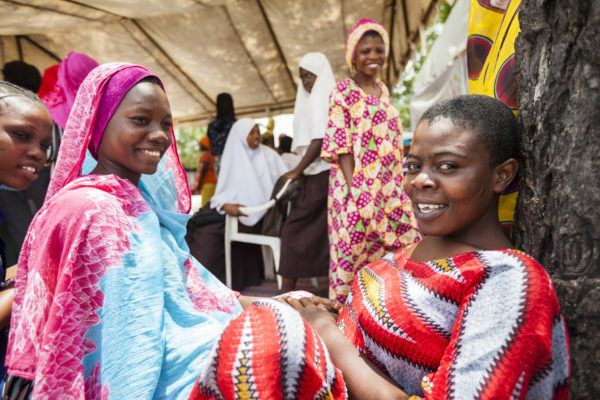 In Tanzania alone, 45% of the population is under the age of 15 and 44% of girls become pregnant by age 19. PSI’s Adolescent 360 program meets teens where they are — outside of clinics — and with language and activities that make sense for them. Sometimes the most innovative projects are the simplest ones.